Bacon anyone? Obviously this is not an ordinary outfit of the day, or an outfit of the day at all for that matter. One of the main reasons I’ve been M.I.A. 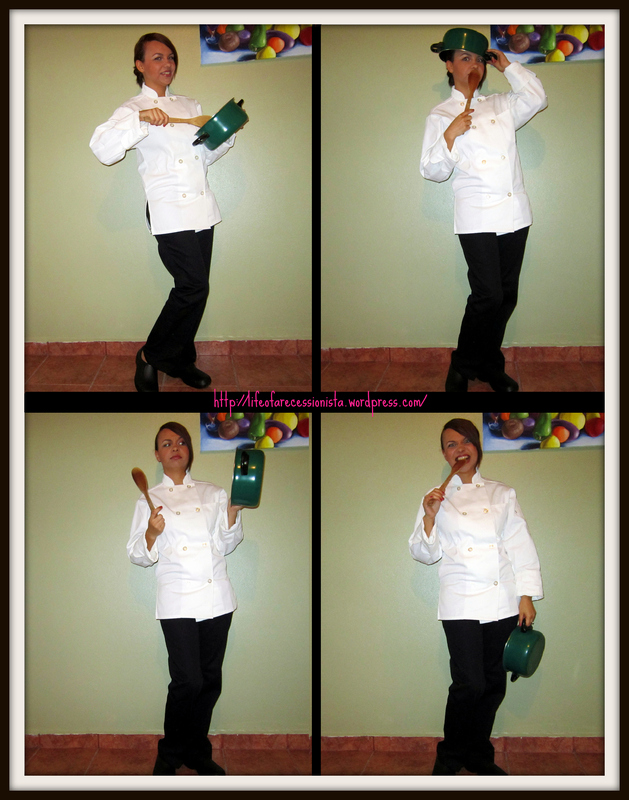 from blogging lately is because I signed up for culinary art classes!! The classes will be held on Saturdays but I’ve been busy signing up and getting everything ready. 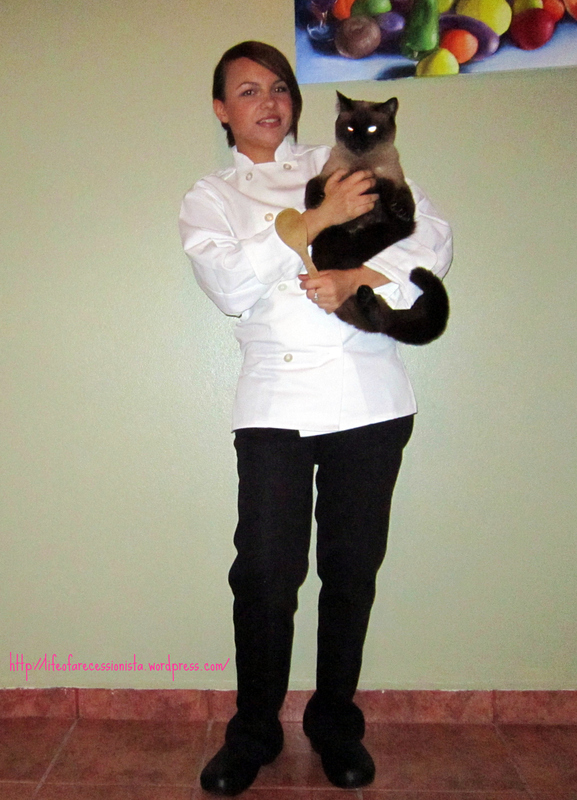 Don’t worry I’m not planning on cooking Bacon (my cat, pictured above with his oh-so-cuddly eyes) but by the way he went running when he saw me in full chef uniform apparently he thought I was going to have him for dinner. I was actually trying to sit him inside of a pot while I posed for the photo but he wasn’t having it. Maybe because I occasionally watch “Bizarre Foods” on the Food Network channel I think he thought I might’ve taken the TV show seriously. I’m really excited about finally getting the opportunity to take culinary art classes, specifically international cuisine. My extreme lack of cooking skills along with my fast food addiction were the main reasons for signing up. When I say fast food addiction I mean stopping by McDonald’s at least 3-5 times a week. And when it comes to my extreme lack of cooking skills, my skills are so bad that some of my most memorable fails include soggy microwaved bacon (the meat not my cat), burnt Campbell’s soup, & dish-washing soap filled pork chops (this one was completely accidental). So my weekly menu (when not buying McDonald’s) consists of microwaved hot dogs and TV dinners. When I’m asked about my nutrition habits I always blame it on lack of knowledge, so taking these classes will be the push I need to eat healthier.